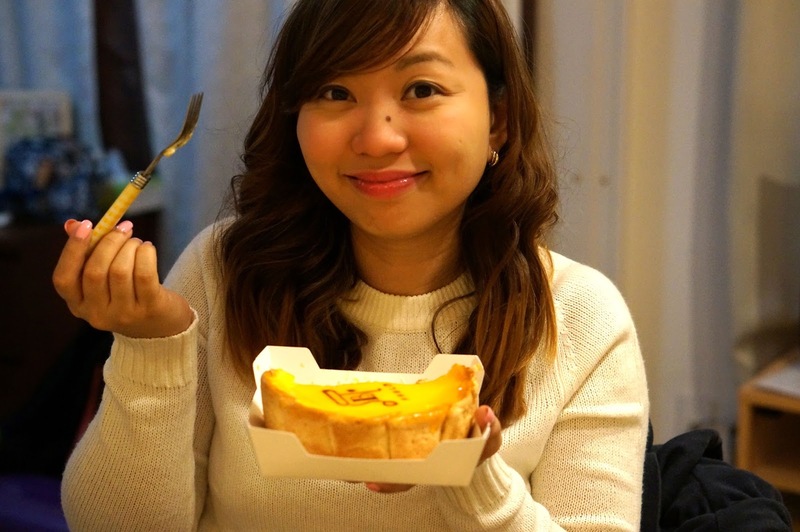 Eat with Cham at the finest cheesecake in town. 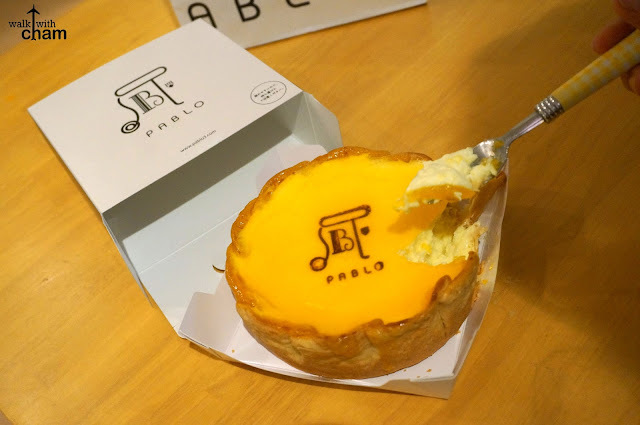 Pablo is a cheesecake revolution! I must say I was so curious about it due to the growing buzz online. The rounds on social media made me seriously want to try it myself. 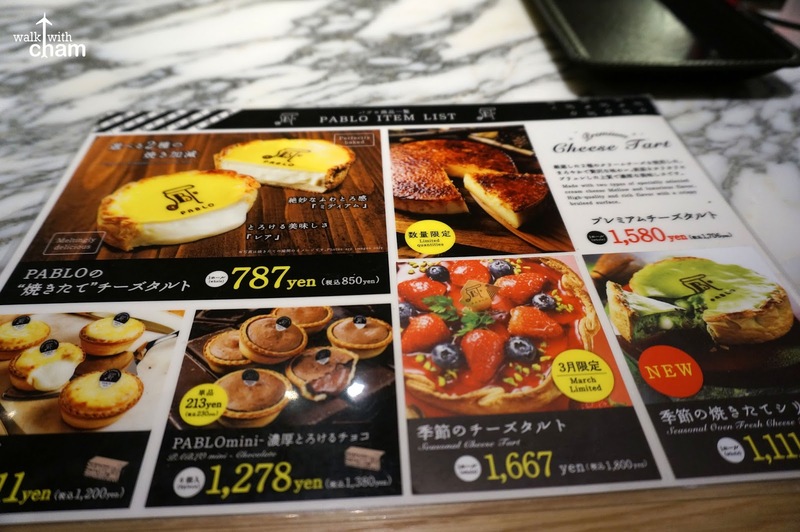 Looking at the irresistible gooey cheesecake would make anyone wish they're in Japan at that very moment. 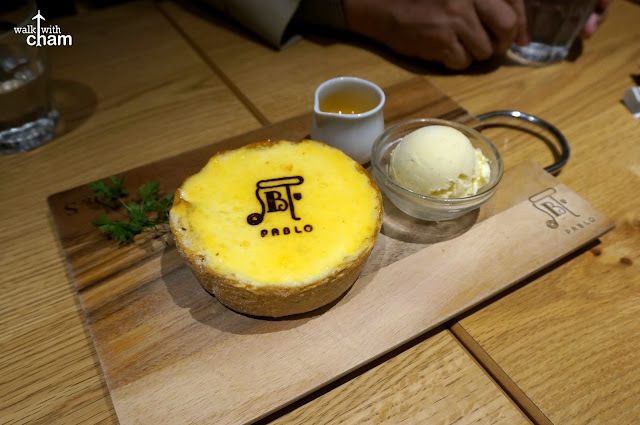 So of course, we didn't let our trip pass without trying the trending cheesecake. 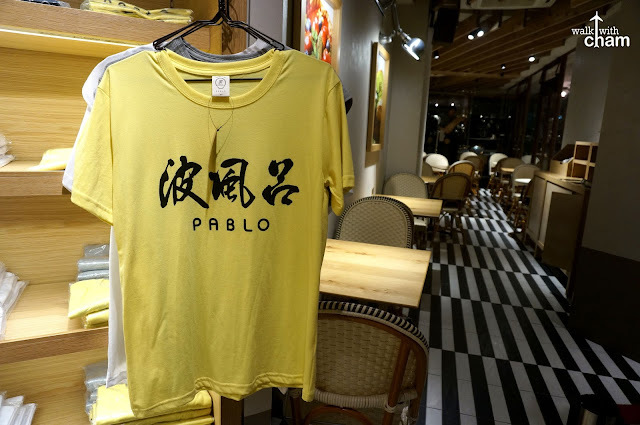 Pablo originated from Osaka two years ago. 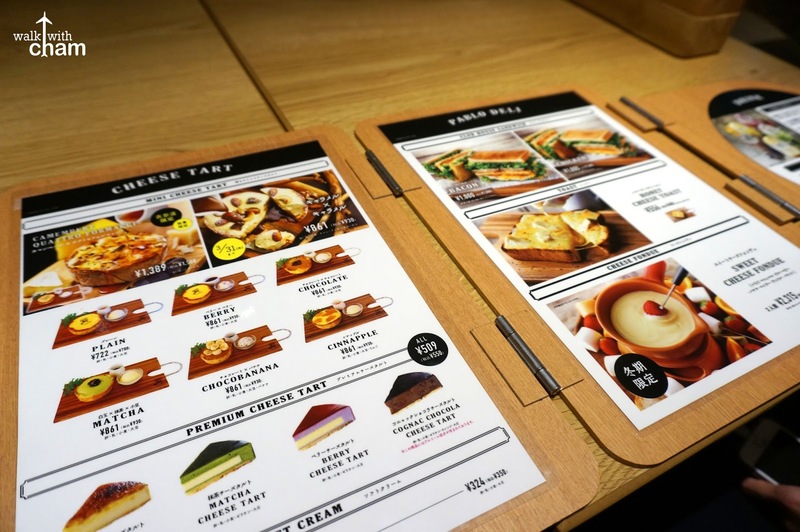 It became so popular which created a cult following that it opened branches around Japan including Tokyo (it will also open a branch in Manila soon!) 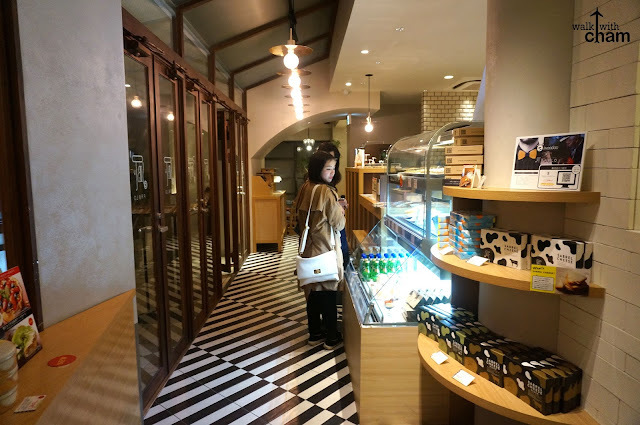 In Tokyo, its known branches are in Shibuya, Shinjuku and Harajuku unfortunately their branch in Shibuya recently closed down for some unknown reason. 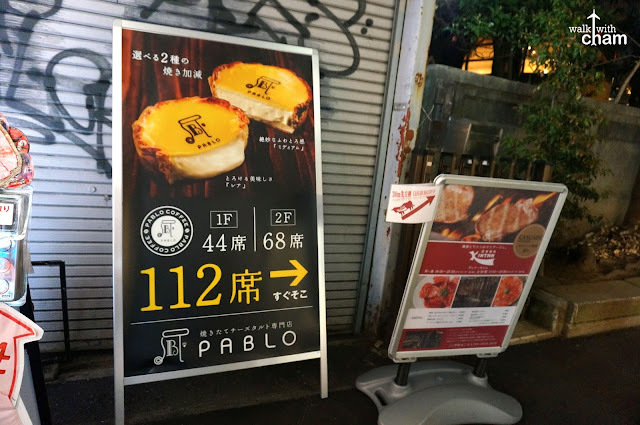 After having dinner in Harajuku area, I asked my friend Twin to navigate where Pablo is and luckily it was just a close distance from where we were in Omotesando. 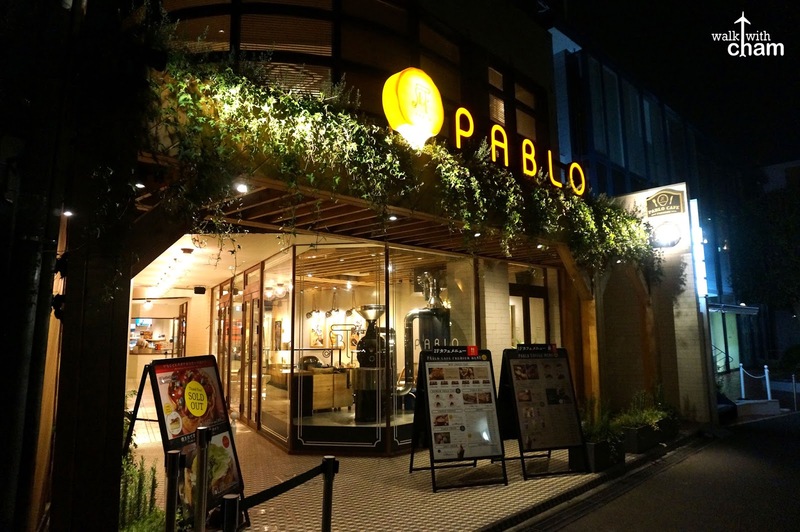 Pablo Harajuku is tucked in a quiet street just behind the bustling Omotesando street. 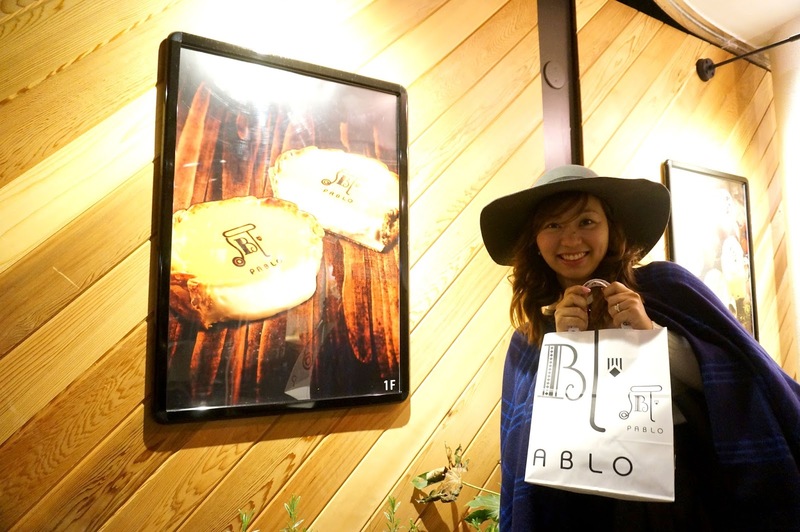 The Pablo Harajuku branch is bigger compared to any other branches in Tokyo. We were so fortunate we got to visit this branch as it has a dine-in area. In most branches, they only have take-aways. 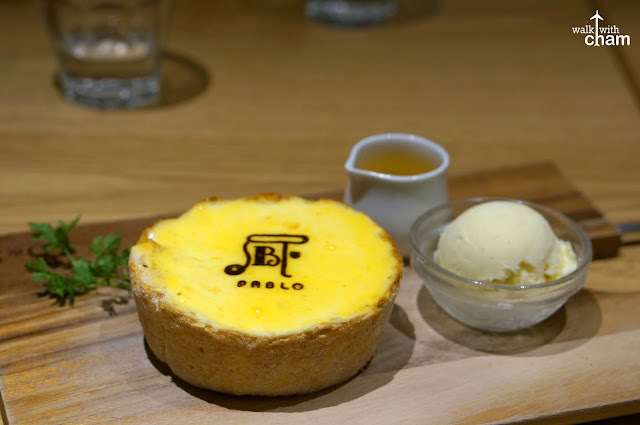 Each and every cheesecake is baked in-house so it is guaranteed fresh always. During peak hours, expect a long queue of customers but thank goodness there were only a couple of customers when we arrived. Because we wanted to experience dining in, we proceeded to the second floor. 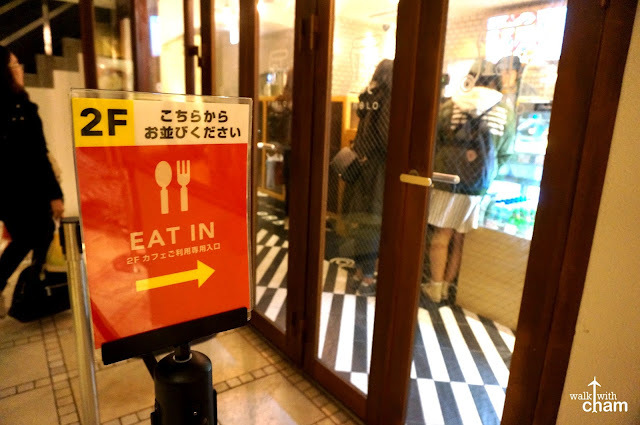 Dine in costumers are asked to go to the second floor. 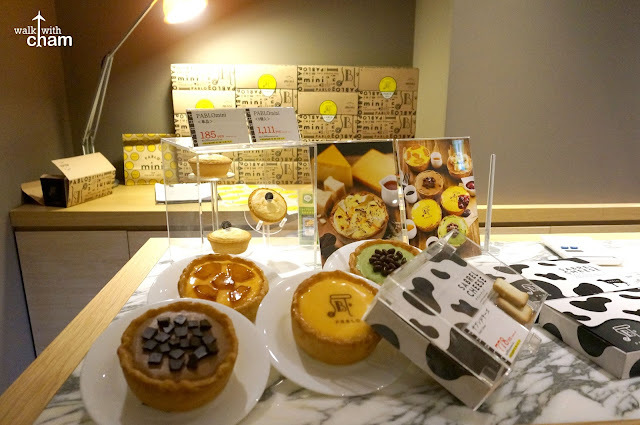 Dine in cheese tart is different from the take-away ones. Yes. 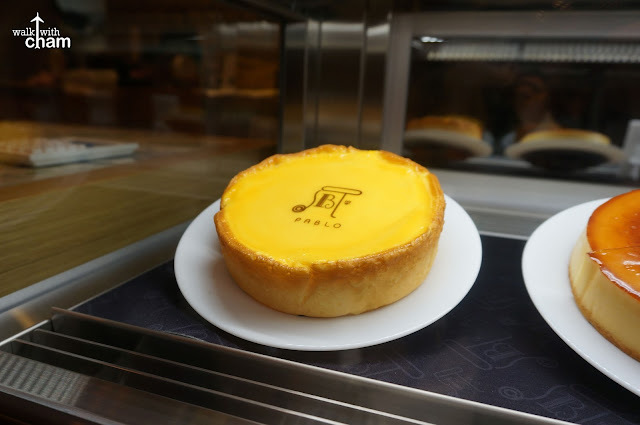 Also, you can't eat the take-away cheesecake inside the cafe. It might be a little weird but what the heck I still wanted it anyways. 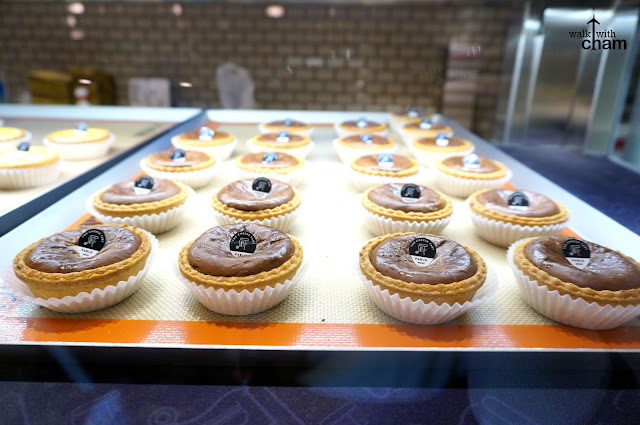 For dine in you can choose from Plain, Berry, Chocolate, Matcha, Chocobanana or Cinnaple cheesecakes. 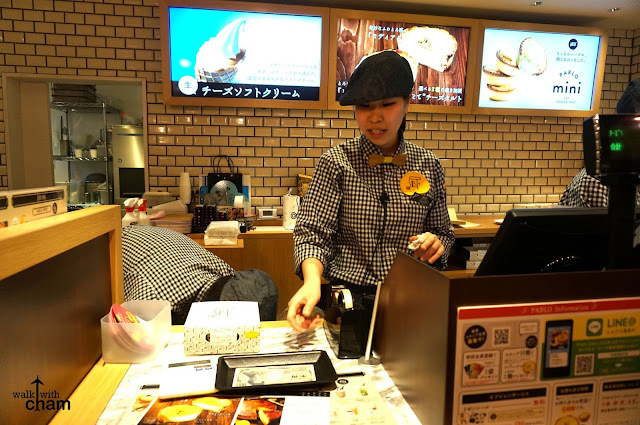 They also offer other dine in options like fondue, sandwiches and toasts. We ordered the Plain one. 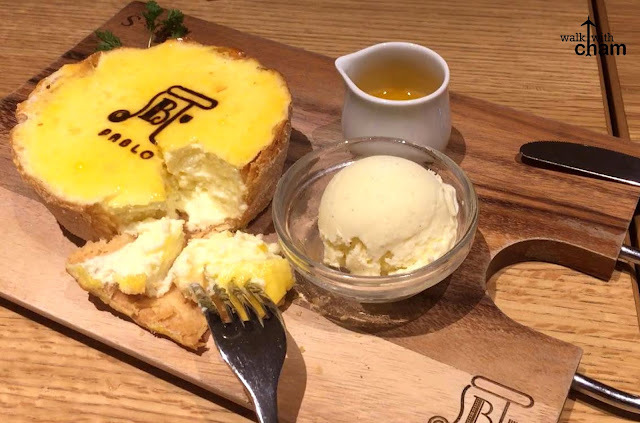 The dine-in cheesecake comes with a scoop of vanilla ice cream and a syrup. When my teeth began to sink in the delicious cheesecake, I had no words. This was, by far, the tastiest cheesecake I had in my life! The sweet fluffy creamy cheesecake topped with lemon glazed flavoring was utterly delicious and addicting that sorta melts in your mouth. The crispy pie shell balanced out the flavor and consistency; even more when it was paired with the vanilla ice cream and syrup leaving you speechless by its mouthwatering goodness. I was absolutely on cheesecake high! 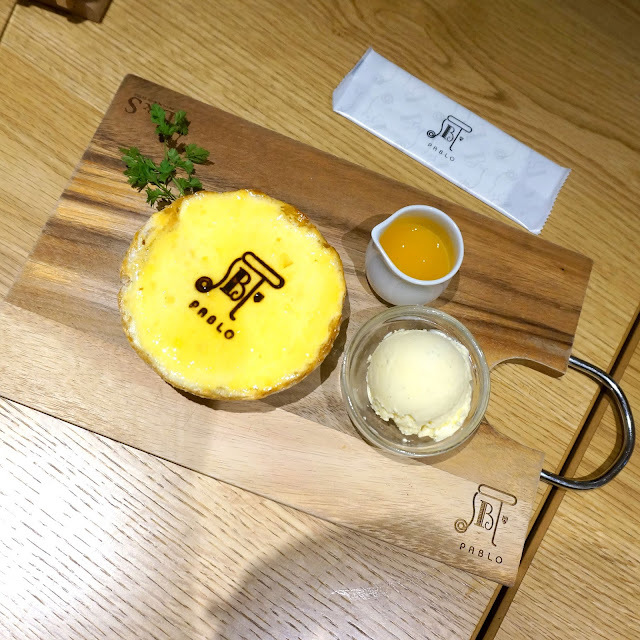 Because we couldn't get over how much we loved their cheesecake, we ordered one for take out at the first floor. 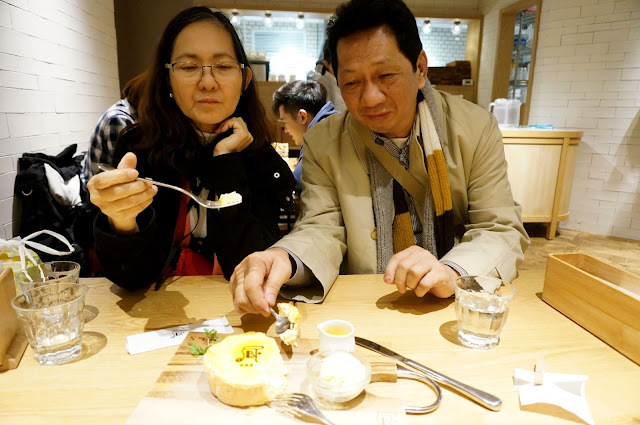 As I've said, dine-in cheesecakes are different from the take-out ones. 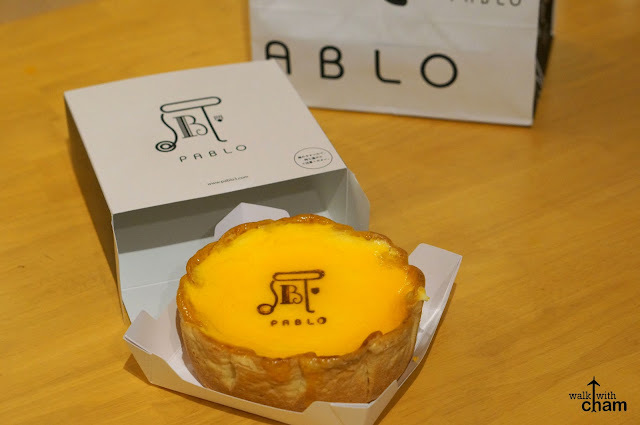 They have many options for take-out like the Pablo Mini, Seasoned Cheese Tart, Premium Cheese Tart and the Seasonal Oven Fresh Cheese Tart. But the most raved about are the plain ones like what we ordered but this one has two options - Rare and Medium. Rare has a gooey core that oozes out when you cut it open while the Medium version is slightly firmer. According to my friend who's been a constant customer of Pablo, the medium version is better. So we ordered that version for take-out. Can't wait to eat you! One thing I noticed from the dine-in is the size. 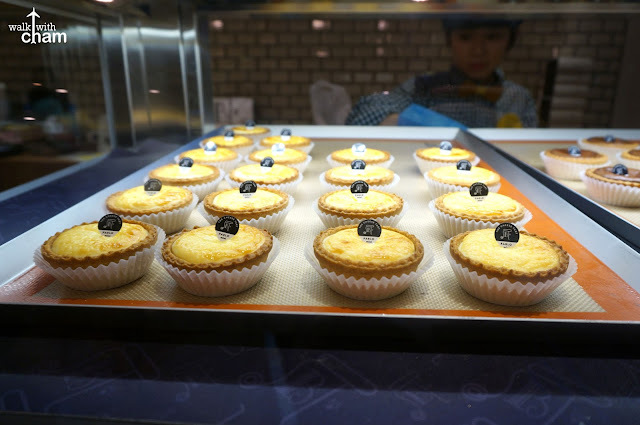 Take-away is bigger than the dine in cheesecake which explains why it is pricier. But the taste. Oh the taste. 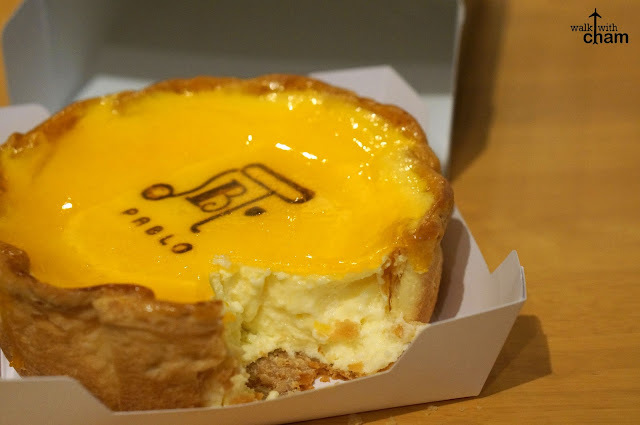 It is still the same delectable cheesecake we tried during dine in. Heaven! 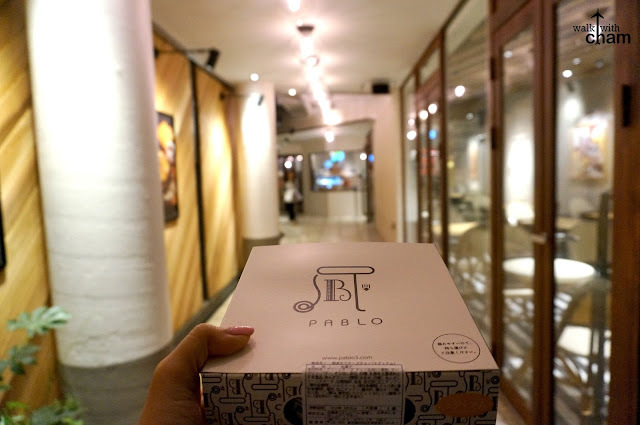 Pablo is the best pasalubong you can give to your loved ones. We were scheduled to buy a couple of take-outs during our last day (it has a life span of three days for the guaranteed freshness) but unfortunately we didn't know that Pablo in Shibuya already closed down. :( SAD! *Good thing Mike will go back to Tokyo this June so I'll definitely ask him to buy a box for me and my parents! Great post! 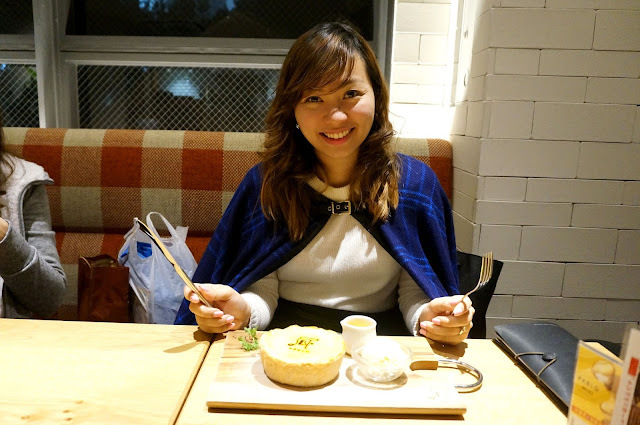 Do check out our post covering our Japan Travel Itinerary as well!